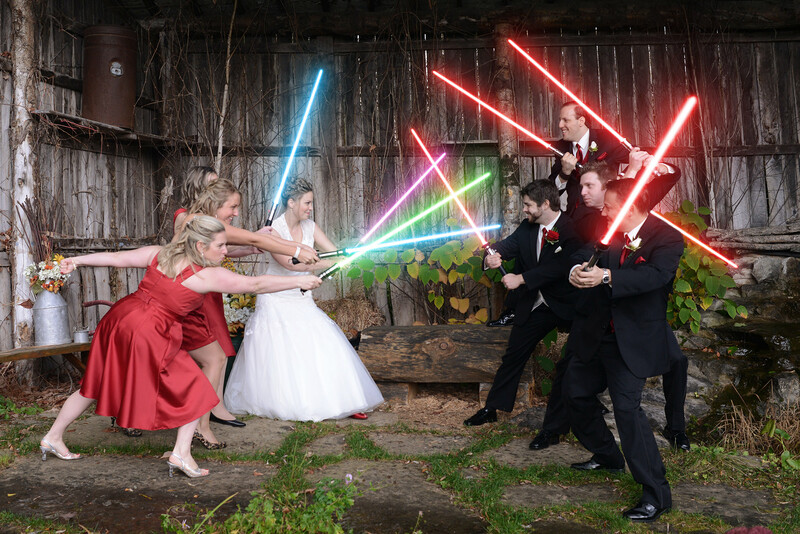 So I got married back in October of 2014 and being the huge nerd and Star Wars geek that I am.. I absolutely had to take a few fun theme photos during our post ceremony photo session. I just happen to have a few dozen hand made lightsaber props (the very ones we used in our Star Wars fan film Sith Academy, Class of ’87, produced in Ottawa back in 2008). so I brought those along on the day of the wedding and passed them along to members of the wedding party. 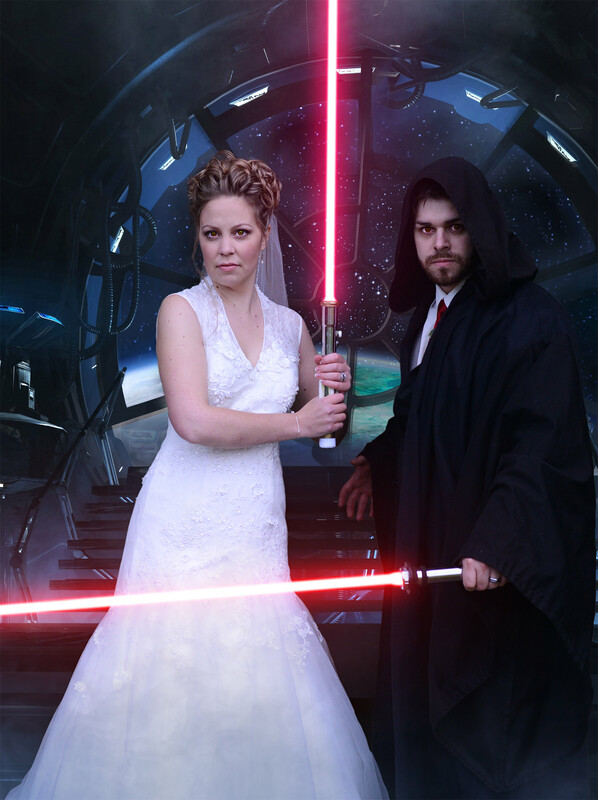 Our awesome Photographer Kira Beriault took several shots of us holding our lightsabers in different positions and afterwards, it was off to Photoshop to add in the blades and glow effect. 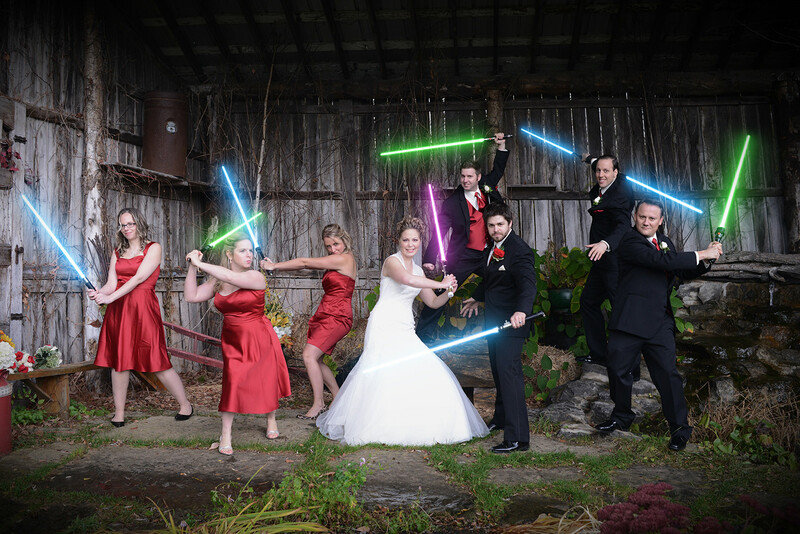 A fairly standard lightsaber technique is used; creating a white blade against a black background, using a series blurs and feathers to duplicate copies of the blade to create the glow and finally adding color using Hue/Saturation and applying the “screen” blending mode to add it to the background. The very same techniques can be used in Adobe After effects and applied to video to create some epics lightsaber duels, this technique is called Rotoscoping and believe me, it’s very long a tedious but the results are spectacular! !